Cap Creations: (CLOSED) CSN Stores Giveaway!!! I would use the $ to buy a new rug! would love some new baking pans or I would get my daughter a step 2 waterwheel table! ooohhhh! the Cappacino maker would be awesome! Thanks for the chance to win your giveaway! I didn't know you were on FB! I like Cap Creations on FB now! I would love a headboard or a pendant light and they carry both so it would be a toss up. Thanks for the chance to win. Very generous! Yey! I'd love to win so I could get a cake server set for my wedding! We're on a tight budget so winning would be so great! i would get a little colorado step stool. 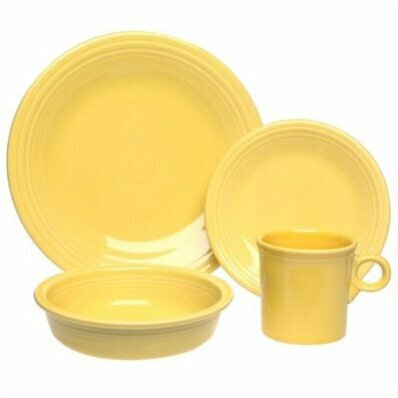 I just am switching our dishes over to the green shamrock fiestaware...so I definately would use the Gift Certificate for Fiestaware! I would love to get some new sheets and CSN has some great selections! I would love to buy a bean bag chair! I would like to get some of their paintable beadboard wallpaper. I would get a rachel ray skillet. Need more fluffy white towels for the guest bath! We are moving into a new house....so, I'm excited about decorating my daughter's own bathroom....Love the Fishy Fish rug or Koi Garden rug! I just moved into a new house and I "need" so much. But as we all know it is dang expensive to move, so all things will have to come slowly. I would love a new comforter for my bedroom though. It seems to always be the last place to get decorated. I would get new flannel sheets for the winter! I Follow Cap Creations on Facebook! I'm on unpaid maternity leave now through Christmas, so this would SO come in handy to purchase my 5 year old's son Christmas! I would definitely put it toward the Submarine play set - he would LOVE that!! New follower - yay! So glad I found your site!! I really need a hand mixer. I would like to buy an elevated dog food dish. I'd love to get a new iron :-) Silly huh? I'm having a CSN giveaway over on my blog too, so come by and enter if you'd like. I need a coffee pot, I dont have one. I would probably get an exercise mat and DVD or one of the fun kitchen gadgets.